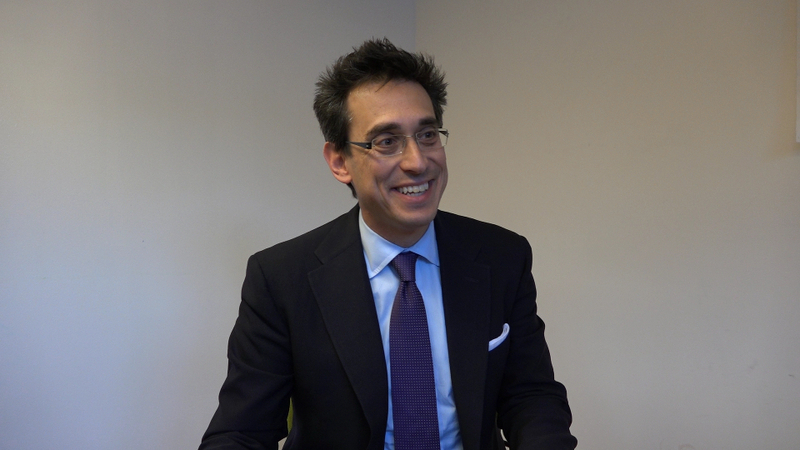 Last Thursday, we sat down with Evan Falchuk, the former gubernatorial candidate and leader of the United Independent Party. We spoke with Falchuk at length about the Olympics, the future of his party, and more. Falchuk spoke with us about the future of the United Independent Party, which became an officially recognized political party during the last election when Falchuk secured more than three percent of the vote for the governor's office. Falchuk told us he is working to enroll voters in his party so they can keep their official status. He also said that that his party will have candidates in various races during the next election. Falchuk also spoke with us about his idea for a statewide ballot question on the proposed Boston 2024 Olympics. "[The Olympics are] a business that’s trying to make money with the support of the taxpayer and they aren’t leveling with taxpayers about the extent to which they want to use our money in order to support this business effort," he said. Falchuk on the United Independent Party: "Here's our non-negotiable guiding principles: everybody is equal, everybody’s civil rights have to be protected, and the government has to spend the taxpayers money wisely." Falchuk on "power elites": "What has tended happened throughout history is that sometimes power becomes concentrated among people that may not share the views of the people they seek to lead... and we're seeing that happen in our country. Everybody knows it. The question is 'what do we do about it?' This endless 'we've gone off to the left – now let's go to the right again, now let's go to the left again' ... I know how it ends. It ends in a 2016 presidential election between a Bush and a Clinton... So what do we do? Join the United Independent Party." Falchuk on NSA surveillance: "We have a Fourth Amendment in our constitution which says the government cannot search you without getting a warrant... The NSA is not supposed to be spying on Americans... This started in the Bush administration and it's continued with the Obama administration. The extent of surveillance even down to the state level and the local level is remarkable in a time when there has not been public conversation about this... This is not Democracy." Falchuk on license plate scanners: "If you are taking pictures of everybody's license plates, there's a civil rights issue here... What are we looking for exactly and why should everybody give up their privacy? These aren't easy issues... It shouldn't be that law enforcement says 'here's what makes our life easy' and that becomes the thing that we should do. That's the whole point of having the constitution is that we should be able to draw the lines on these things. Tell us and give us a chance to say no." Falchuk on Citizens United: "I’ve called for a constitutional convention... to outlaw Super PACs. We're facing this idea that money is speech and that corporations are people and that corporations can now have religious beliefs. This is Through the Looking Glass stuff... Vermont and California have called for a constitutional convention... Massachusetts should be one of the states calling for it." Falchuk on campaign finance: "I think the best way [to restructure campaign finance] is publicly financed campaigns." Falchuk on Black Lives Matter protests: "I didn't agree with blocking the highways, but now instead of talking about the issue of racial profiling and how to make sure we have a good oversight into what our police are doing, what we see is [lawmakers] moving quickly to pass bills to increase the penalties on blocking highways."